mk2 innovation is an incubator for tomorrow’s cinema. Taking a fresh approach to the content and venue, mk2 innovation is restoring cinema’s appeal. 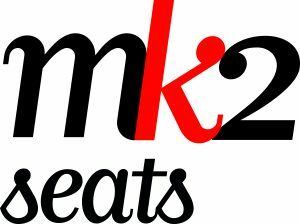 From the seats and the screenings to virtual reality, mk2 is breaking with convention to bring young and old a unique personal experience. 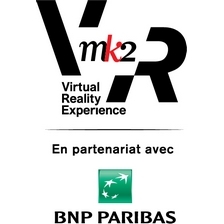 Following two years of research and development, and with an investment of 1.5 million euros, mk2 is partnering BNP Paribas to open mk2 VR, the first permanent space entirely devoted to virtual reality, at mk2 Bibliothèque in Paris on 9 December 2016.
mk2 VR is a new culture and entertainment concept that offers an eclectic program that is faithful to the group’s editorial line (with content and experience including fiction, documentaries, video games, and simulations), along with exclusive content and sneak previews all year long. The disruptive and welcoming state-of-the-art venue has been designed to maximize user comfort, enhance the experience and showcase creation. Offering panoramic views over the French National Library, mk2 VR has twelve virtual reality pods with three different technologies (HTC Vive, Oculus Rift and PlayStation VR) and two full-body immersive simulators: the Holodia rowing machine and Birdly®. mk2 VR is also a social hub providing a collective experience, with a covered terrace becoming home to Le Perchoir mk2 and created with Le Perchoir – pioneers in Paris’ roof-top bar scene. The mk2 VR brand launch at mk2 Bibliothèque is the first step in mk2’s move into virtual reality. 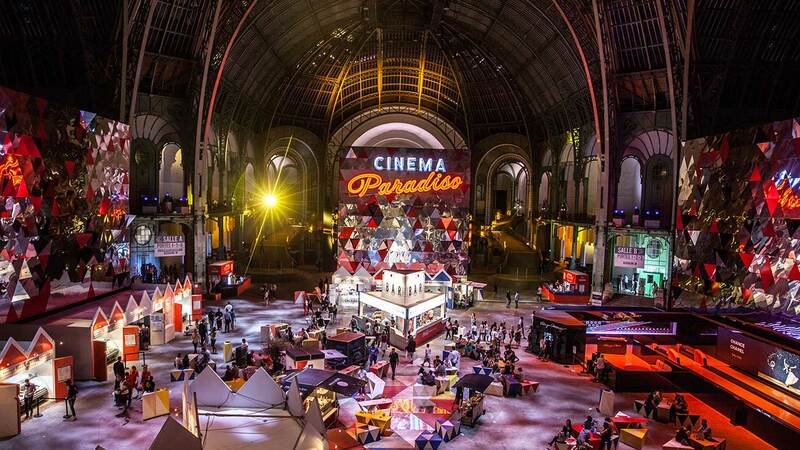 Every two years, Cinema Paradiso brings together 80,000 film lovers under the glass roof of Paris’s Grand Palais. The pop-culture festival is reinventing the before, during and after screening with the three-part concept mixing food, cinema and music. On the programme in 2015: 11 days, two 4,000-seater cinemas, 22 screenings, 12,000 sq m of cinema and entertainment, and 52 hours of clubbing. In 2003, mk2 and the French designer Martin Szekely explored a simple question: “how can we redesign the seating, which hasn’t changed since cinema was invented?”. The innovation comes from the foldaway armrest, which can be used to switch between a two-seater sofa and individual seats. A symbol of mk2, the Loveseat™ gives free rein to our emotions and has changed the face of cinema with its unique stylish horizontal design. 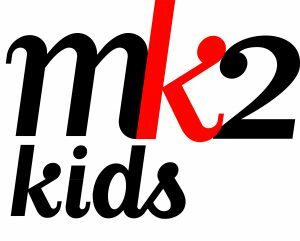 mk2 helps parents introduce their kids to the cinema with the desire to educate and hand over the unmissable film collections. In both France and Spain, mk2 creates film screenings aimed at the very young (mk2 Bout’chou, mk2 Junior and Cinesur Junior), with the same price for all the family, and welcomes thousands of budding cinemagoers every year within school screenings.